Zut alors! 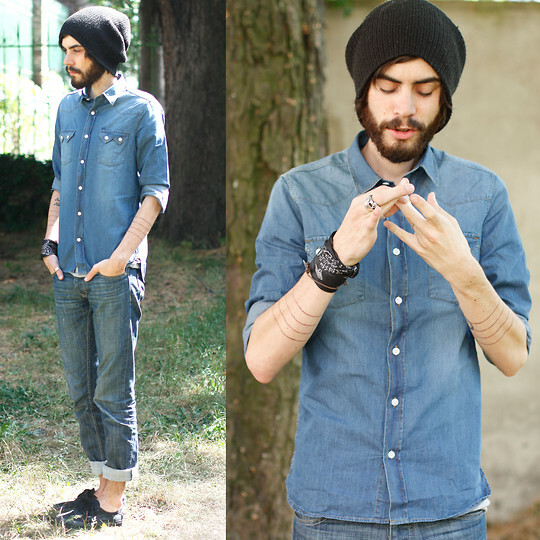 We found Tony Stone, 27-year-old nerd a Paris, on LOOKBOOK.nu rocking some serious denim on denim. C’est bien! Shirt from Momento Clothing. Jeans by Topman. This entry was posted on Tuesday, May 17th, 2011 at 6:32 pm	and tagged with LOOKBOOK.nu, Momento Clothing, Tony Stone, Topman and posted in Fashion. You can follow any responses to this entry through the RSS 2.0 feed.